Batu Batu is a place for wellness and meaningful connection. A place where a deep respect for nature is at the core of everything we do, from providing guests with immersive back-to-nature experiences to treading lightly and supporting the biodiversity regeneration projects run on-site by the scientists at Tengah Island Conservation. Meaning “rocks” in the local Malay language, Batu Batu is a rustic private island resort set amongst coconut groves, rocky outcrops and fine sand beaches on the uninhabited island of Pulau Tengah off the east coast of peninsular Malaysia. Constructed by local carpenters with a variety of tropical hardwoods using traditional techniques in the Malay vernacular style, the 20 one-bedroom and 2 two-bedroom villas are nestled into the island’s wild and natural environment in a way reminiscent of a Malay ‘kampung’ or village. Lazy sun-kissed days can be spent flitting between the island’s eight beaches, the resort spa, swimming pool, restaurant, bars and conservation area. Kayaks and paddle boards tempt guests out into the big blue, whilst those wanting to explore the coral kingdoms of the South China Sea can don a snorkel and mask and step right off the beach. Batu Batu aims to tread lightly, source sustainably, behave responsibly and support the local economy wherever possible. Preserving the incredible marine life on and around our near pristine island. Learn more about Tengah Island Conservation, our mission, projects and how you can get involved. 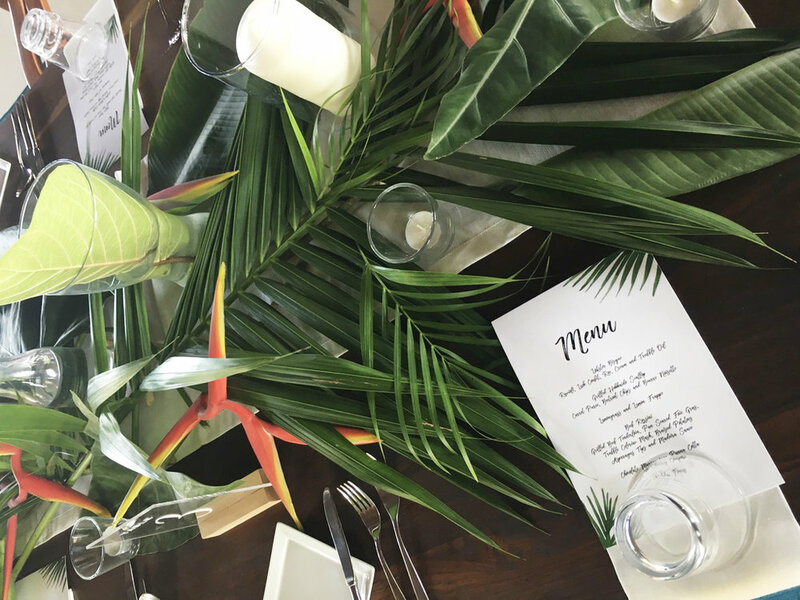 Whether it’s a romantic wedding, corporate gathering, or milestone celebration, a bespoke event staged on a magnificent private island will be certainly be unforgettable. Celebrate with us at Batu Batu this Christmas and New Year! Cick here to view our festive Menus.